62, of Agra, Okla. died on Friday, November 7, 2008 in Agra. Church services were held at 7 p.m. on Sunday, November 9, 2008 at the Bah-Kho-Jena Chena Building. Graveside services were held at 9 a.m. on Monday, November 10, 2008 at the Iowa Tribal Cemetery. Strode Funeral Home was in charge of arrangements. She was born on July 2, 1946 in Baxter Springs, Kan. to William Oscar �Bill� Tyner, Sr. and Vera (Jamison) Tyner. She was a member of the Seneca-Cayuga and Absentee Shawnee tribes. 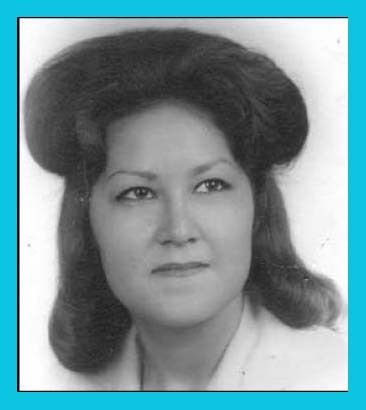 She married Frank Elwood McClellan, Jr. on July 11, 1965 in Shawnee, Okla.
She was raised in Tulsa, Okla. and lived in Ocala, Fla., Roswell, N.M., and Cushing, Perkins, and Agra, Okla. She was a homemaker and a member of the Native American Church, TiPi Nations Chapter. She was an awesome wife, mother, and grandmother. She was preceded in death by her parents, Bill and Vera Tyner; one son, Frank Elwood McClellan, III; one granddaughter, Megan Simone Cunningham; one brother, William Oscar Tyner, Jr.; and one sister, Marguerite Sue �Toots� Tyner. She is survived by her husband, Frank Elwood McClellan, Jr. of Agra, OK; three sons, Michael Lynn Hyatt of Owasso, Okla., Russell George McClellan of Agra, Okla. and Jeffery Collins McClellan of Stillwater, Okla.; two daughters, Tammy Denise Cunningham of Pawhuska, Okla. and Alicia Diane Grant of Agra, Okla.; several adopted sons and daughters; seven grandchildren, Frankee Ann Cunningham, Charlsie Rose Cunningham, McKayla Corene Williams, Triston Skush McClellan, Blake Louise Cunningham, Tylynn Tillie Bronco, and Kailynn Rae Belcher; four brothers, Alex �Buz� Tyner of Lawrence, Kan., Claude Tyner of Tulsa, Okla., Tom Tyner of Salt Lake City, Utah, and Gilbert Tyner of Rocky Boy, Mont. ; and numerous nieces, nephews, cousins, other relatives, and friends. Active pallbearers were Russell McClellan, Jeff McClellan, Billy Tyner, Mekko Tyner, Jake Tyner, Eagle Boy McClellan, Elwood McClellan, and Triston Skush McClellan. Honorary pallbearers were Ace Tyner and Jo Willie Tyner.